The Inspiration2020 Global Conference is a breakthrough event. For the first time at one event you will hear from some of the best speakers in the world with a business expo. The tickets are limited to the capacity of the facility. Get your tickets now before the event is totally sold out. Watch the video on the left to learn about Inspiration2020 and Register. “We’ve gathered an incredible group of speakers! Not only will they inspire and motivate you, they will offer practical tools and systems that can give you that breakthrough you have been waiting for. Normally, it would cost you thousands of dollars to attend any of these speakers’ seminars, but now for no cost, you will have access to life-changing information. 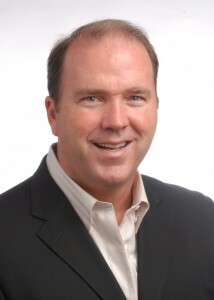 Bill Walsh® is the CEO/Founder of Business Coaching/Venture Capital firm Powerteam International. Bill hosts and speaks at events all over the world! His passion is to empower entrepreneurs and business owners to create massive success. He loves to help people to understand specifically what it takes to build successful companies. He is an accomplished author, speaker, radio personality and movie celebrity, He has a very successful background in finance and marketing. He has spent two decades working with start-ups to major global brands increasing sales, productivity and overall success. He is an innovator with a remarkable ability to determine and dictate success strategy to seize global market opportunities. For everyone that owns a business or would like to capitalize the entrepreneurial dream his message will enlighten them with knowledge and action principles to turn that passion into success! Bill has an extensive background in foreign currency trading, real estate development and building companies around the world. Over the past two decades, he has specialized in helping companies launch, grow and create exponential valuation in the market. The Rainmaker Summit and WIN University® programs offered through Powerteam are designed to assist entrepreneurs in creating the focus, plans and partnerships required to build multi-million dollar companies! The Inspiration2020 Conferences are held at each of the various locations and dates below. 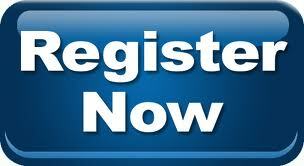 Register for the events which you can attend.